Tom Huggler, field gear editor for Shooting Sportsman magazine, field tested our Total Protection Snake Chaps while hunting grouse and woodcock in Michigan and Quebec. Huggler said, "The chaps offer great protection. They turned back everything I ran into, including briars, prickers, and thorns." 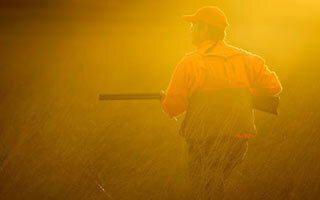 Huggler also said wearing protective hunting clothing is vital if hunters want to bust through brush unscathed. The Classic Upland Supply Co. 25 Prentiss Dr.